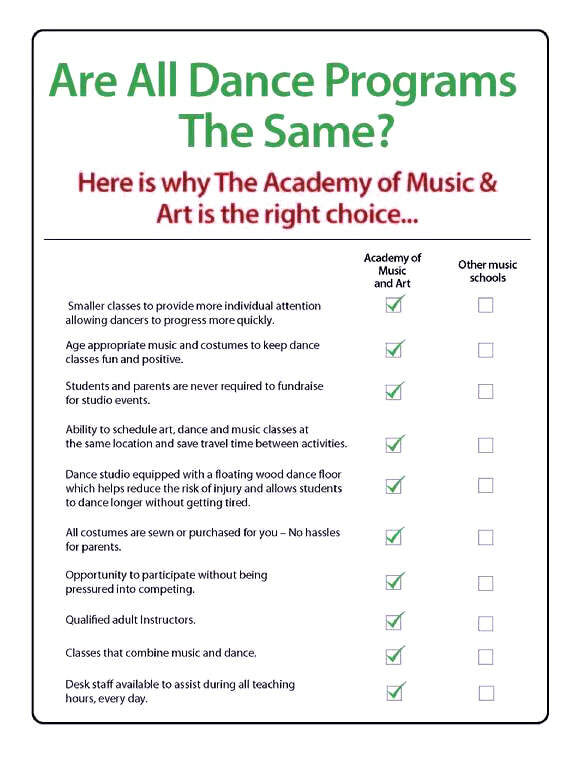 Music, Art and Dance Schools? Learn to play an instrument in just 15 minutes a day. Top-notch music, art and dance teachers. You can learn something that is challenging and still have fun. ​Are all Music, Art and Dance Schools the same? Click here to see a printable comparison checklist. 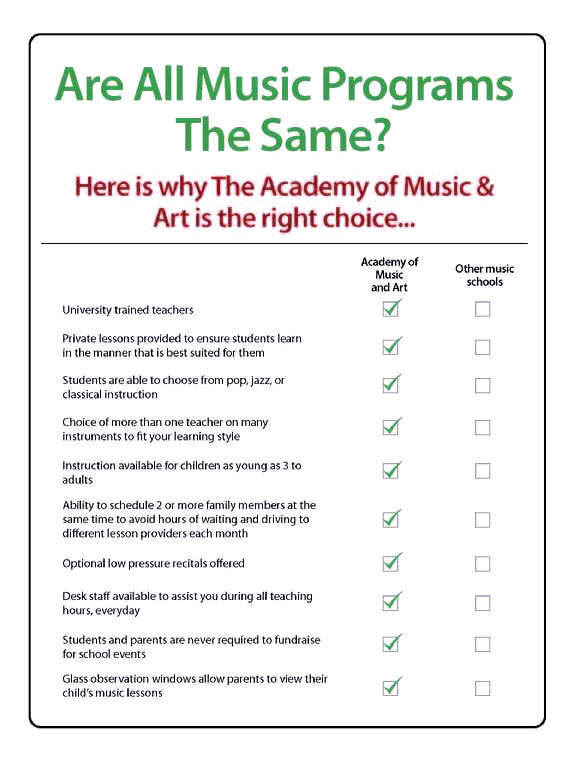 See why The Academy of Music and Art is the right choice. 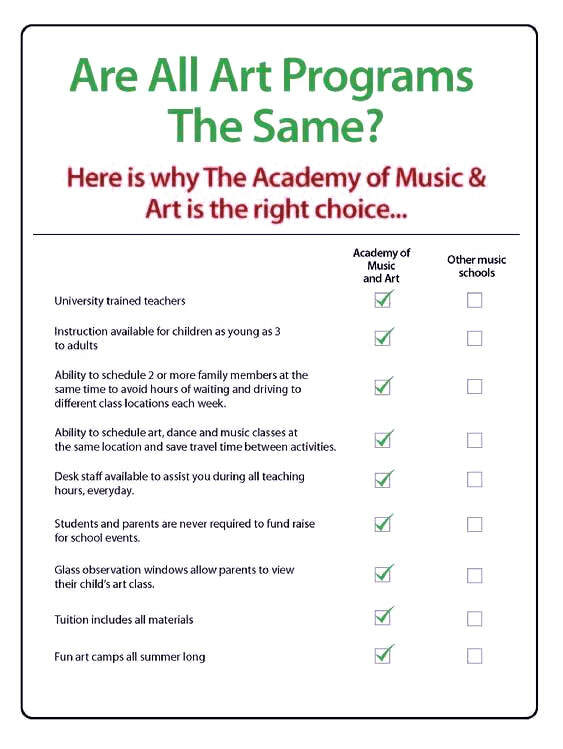 Here's what two parents have to say about The Academy of Music and Art! Register Now For Music, Art & Dance Lessons! 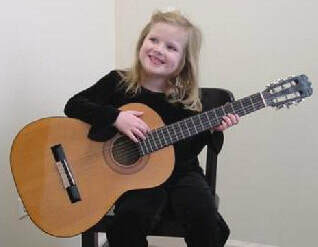 Families from Hinsdale, Oak Brook, Clarendon Hills, Downers Grove, Western Springs and beyond know that music, dance and art lessons at The Academy are fun and inspiring.